Baking soda and vinegar science experiments are some of the best simple science activities for children! Pull out the kitchen ingredients for these simple yet magical activities for kids! Another name for baking soda is sodium bicarbonate if you are not familiar with the term baking soda. I save these for the times that I want to wow the kids. It’s honestly so simple to do, but they ask for them over and over again. Plus, they are super affordable to make too! 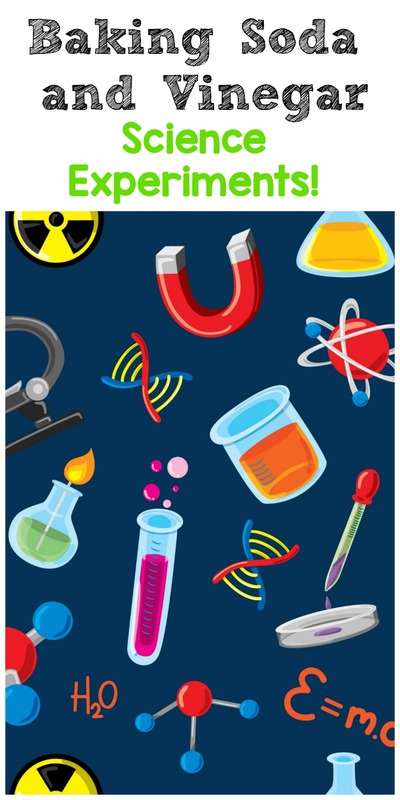 These vinegar and baking soda science videos are some of our favorite science activities for kids! The key to my bright colors is using tempera paint instead of food coloring or liquid watercolor. We just use baking soda, vinegar, water, dish soap, and paint! 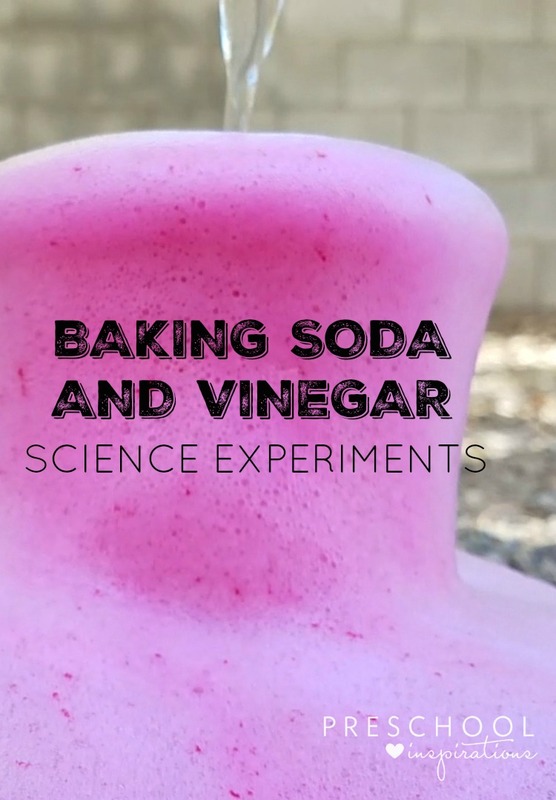 Get all of the directions to my baking soda and vinegar volcano! This bottle cap fine motor play is sure to be a winner! I highly recommend using some pipettes or medicine droppers for this activity to start the fun! This Magic Puffing snow play recipe uses baking soda and turns it into “snow.” Add some vinegar when you’re done, and watch the reaction! This mom is also a science teacher, so she gives a great baking soda and vinegar experiment explanation. She makes it super for us to understand so now you can tell kids all about the chemical reaction taking place. Watch a balloon inflate with the magic of baking soda and vinegar! This is sure to amaze the kids! This science experiment is too fun for trying outside because an exploding Ziploc bag is incredible! Read all of the instructions to make your own exploding bag experiment. This vinegar and baking soda color science experiment from Busy Toddler is so fun and irresistible. We love to do it over and over again! Make a baking soda and vinegar rocket! I would say adult supervision is a must on this one, but it is so cool and well worth it! Baking soda and vinegar science experiments for kids are hands-down awesome and so fun to watch! If you’ve not tried them yet, give it a shot!